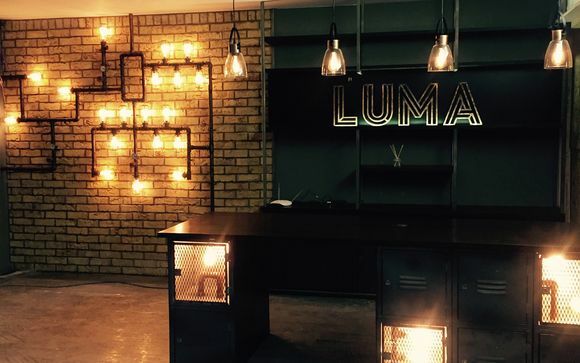 LUMA Concept Hotel 4* seeks to show you a different side of London, its local hangouts and cosy gastro-pubs that are tucked away from the main tourist hubs. With many of London's hotspots and highlights within walking distance, you are sure to have an active, fun-filled break in the capital. Our members will enjoy this high-end concept hotel with a stay in a LUMA Double Room with a complimentary breakfast! London is a captivating melting pot of royal pomp, edgy art and provoking museums. 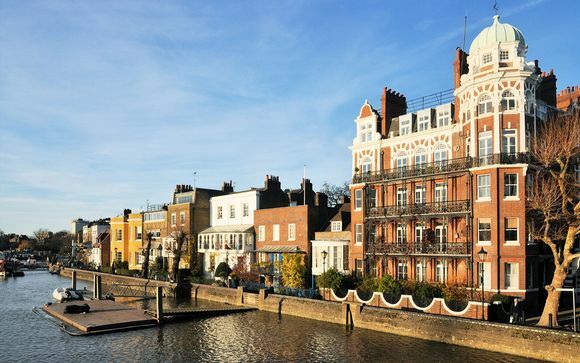 While it's important to see all the iconic sights, you'll have a much richer experience of London by visiting its charismatic neighbourhoods, one such place is the bustling hub that is Hammersmith. Its mix of multinational establishments, acclaimed theatres and intimate pubs help preserve its small-town appeal away from the masses. 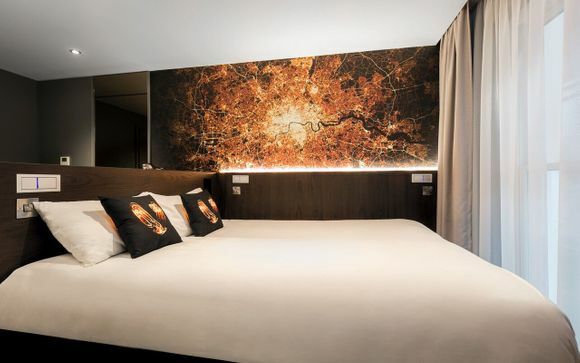 You're also amazingly connected to central London, and with a wealth of restaurants, cafes, boutiques and more to explore, you're certain to enjoy a great stay that will capture the essence of London's storied culture. Enjoy this inspired and ever so slightly eclectic hotel, with its simple design that seeks to do one thing.. to draw inspiration from the city around it! The architect has taken London's penchant for industrial chic and combined it with an immutable part of Hammersmith's history: the grand old Osram lightbulb factory that was once the heartbeat of this neighbourhood. This offer is based on a LUMA Double Room. At LUMA Concept Hotel, in-room Nespresso machines come as standard, so too do plush bedding, plenty of space and personalised service. All rooms feature high-spec, tech-ready spaces full of witty, unexpected touches and are as stimulating as they are relaxing. 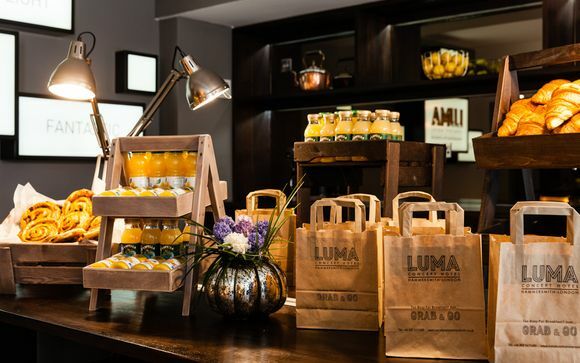 In true London style, this hotel specialises in delicious breakfast on the go (take away only): freshly flaky pastries and steaming coffee will have you ready to face London's busy streets. The hotel also has a concierge who specialises in procuring a table at some of London's most enticing restaurants.